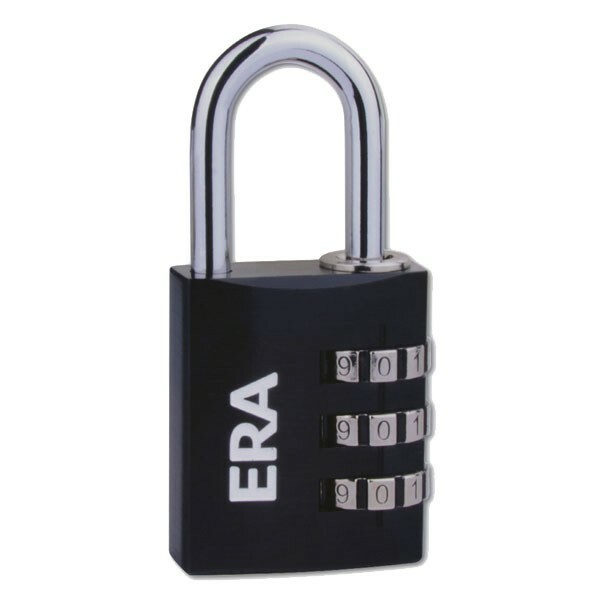 Features: Medium security padlock suitable for travel, cupboards, lockers and toolboxes. Aluminium lock body. 10,000 possible combinations (30 and 40mm). Steel shackle. Resettable combination.